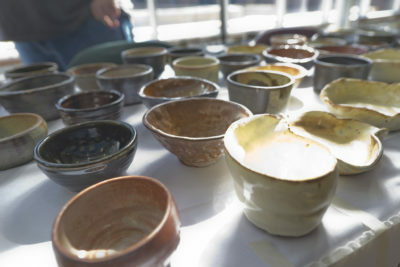 Bowls handmade by ICC art students line the table as part of the ICC Vagabond Art Club’s “The Art of Ice Cream” sale during a previous Arts Week at ICC. Once again this year, patrons can purchase ice cream in a handmade bowl they get to keep. ICC’s Arts Week 2019 runs April 15-19 on the East Peoria Campus; for a full list of activities, visit ArtsAtICC.com/artsweek. ICC presents a week of demonstrations, exhibits, concerts and other events, as the Arts and Behavioral Sciences Department presents Arts Week 2019 from April 15 through April 19 on the East Peoria Campus.